How much time do I have to make an accident claim? If you’re hurt in a Florida accident, you might wonder how long you have to pursue your claim. You have a limited amount of time to work with a West Palm Beach personal injury attorney to bring a case after you’re hurt. This rule is called the statute of limitations. How long do I have to recover? For most Florida accidents, you have four years from the day the crash occurs. If a loved one tragically loses their life and you have a case for wrongful death, you have only two years to bring that type of case. If you miss this strict limitation, you lose your chance to bring your case forever. 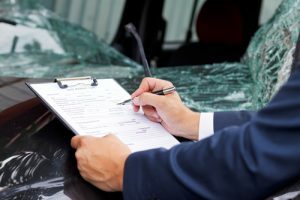 If you’ve been hurt in an accident, you may need an accident attorney in West Palm Beach Florida that can work on your case quickly. At Smith & Vanture, we begin each case by looking at the relevant dates and making sure that we file the case in the right court and on time. Our team of professionals knows how to get the job done quickly if that’s what it takes. We know how to prepare documents, so we can get your case filed fast. What if my accident happened outside of Florida? In cases where the accident takes place in another state, the timelines might be different. They may be longer or even shorter. There may be special exceptions that pause the statute of limitations in cases where a reasonable person wouldn’t discover their injuries until later. The location where you bring a case is called jurisdiction and venue. This can be a tricky question when your accident occurs away from home. Our West Palm Beach personal injury attorney team can help evaluate your case to determine the place that’s best for you to file your case and the time limitation that applies in that location. When you work with us, you’re getting a teammate and an advocate for justice. At Smith & Vanture, you can expect compassionate representation that comes with skill and enthusiasm. If you’ve been hurt, we invite you to contact us. We’ll explain what time limitations apply in your case, and we’ll help you create a game plan for success.